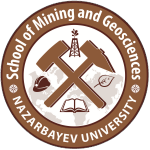 The School of Mining and Geosciences (SMG) has been established at Nazarbaev University as the premier school for earth science education and research and to transform current knowledge and technology to develop an international quality, safe, efficient and environmentally responsible natural resource industry. SMG aims to be a world-class institution which develops new knowledge, talent and leadership within the area of natural resources. We plan to do this by educating highly qualified professionals and undergraduates with up-to-date knowledge and skills in earth science and related subjects, conducting world-class research and producing venerable research outcomes in the fields of prospecting, extracting and processing of natural resources in safe, sustainable, and economical ways. The strategic plan of the SMG is an overview of the directions, goals and objectives of the school in the years to come.